Hands up who has heard of the Contract Award Notice (shortened to CAN for those with a particular love for procurement and tendering jargon like us)? If you have heard of it, then you will know that the CAN is the official notification which must be published in OJEU by the contracting authority AFTER the contract has been awarded. It details the name of the winning bidder, duration of the contract and the value (if the authority has played ball and included that). When you receive your tender alert emails, remember to look at the document type in the top left hand corner first to check what kind of notification you are dealing with. You don’t want to go asking the authority for contract documents for an opportunity which has already been awarded! The different notice types are automatically organised into separate folders on Tenders Direct to avoid any confusion. Whether you have or haven’t heard of the CAN, you might be wondering at this point how it can be of any relevance to you unless it has your name down as the winning bidder!? Well don’t dismiss the CAN straight away as it does have its uses. If you are looking for new leads for public sector business, how do you find out what contracts have been placed before, without ringing every contracting authority up and down the country? CAN’s provide a pretty good place to start. You receive these notices as a matter of course, as well as all the new opportunities in your business sector, as part of your Tenders Direct service. Because the contract duration is listed, you can log the date for contract renewal for next time round. You can also check the value to see whether it is in line with what your business could sustain and earmark those contracts which are most closely aligned to you. All in all, a pretty cheap form of market intelligence. There are two sides to this – not only can you pop the rough date for re-tender in your calendar and work out how and when to make an approach to the contracting authority, with the name of the successful tenderer to hand, you can also update your competitor database or even think about approaching them for partnering or subcontracting opportunities. If you are a smaller business looking for experience in the public sector market, then associating yourself with (or working alongside) companies which have had lots of success with public sector bids, is not a bad idea. That being said, it’s not always easy to get hold of subcontracting work off the back of the award notice. It can sometimes be the case that subcontractors have the deal sealed well in advance of the contract award, but this tactic can still be worth a try. 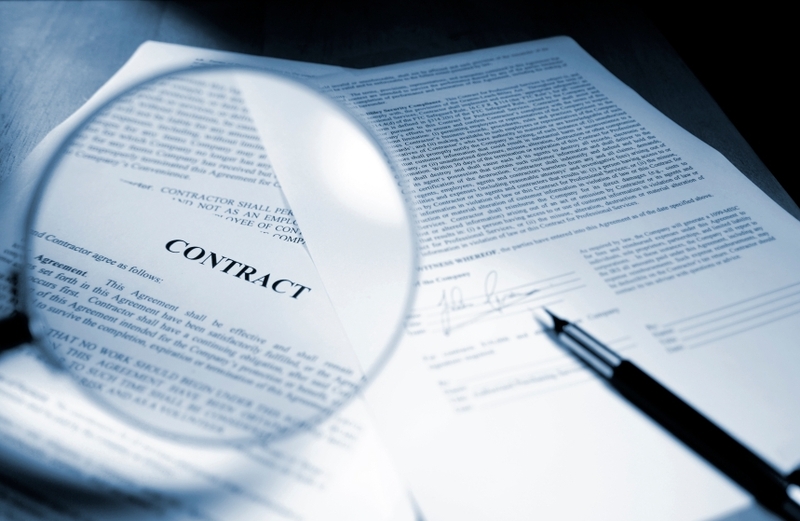 Sadly, we haven’t quite got to the point yet where all contracting authorities are diligently publishing their contract award notices for every contract they let, particularly not for lower value requirements. The European Commission made the CAN a requirement to support the agenda of openness and transparency in procurement and to allow data to be collated on the number of contracts being awarded by each member state. Officially the CAN has to be sent for publication in OJEU within 48 days of the award of the contract (meaning the day of contract signature). For Part B services contracting authorities can withhold the notice from actual publication but must still dispatch the required information to OJEU. Within the last three to four years, reminders have been issued by Europe to contracting authorities to publish OJEU level contract award notices. There has certainly been an increase, although in reality there is not likely to be much comeuppance any time soon for authorities who don’t round off the process properly. We might see more of a push from national and devolved governments to capture all contract award information however, especially as the belts tighten. The Scottish Government is already pursuing this, realising early on in their procurement reform that access to this information provides greater visibility of spend across the public sector – a hot topic which is not likely to go out of fashion any time soon.